:We live in an age of skepticism. Our society places such faith in empirical reason, historical progress, and heartfelt emotion that it's easy to wonder: Why should anyone believe in Christianity? What role can faith and religion play in our modern lives? 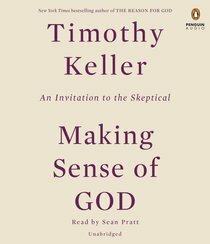 About "Making Sense of God"